What could be better than spending a superb holiday by the sea, 50 metres from the beach? Saint Hilaire de Riez is probably one of the best located Vendée seaside resorts. Facing the beautiful Isle of Yeu, it is comfortably placed between two of the not to be missed towns on the Atlantic coast. Saint Jean de Monts to the north invites you to discover its unusual relaxed atmosphere while Saint Gilles Croix de Vie to the south invites you to discover its beach and its luminous streets. During your stay at Saint Hilaire de Riez, don’t miss a visit to the “bourrine” house of Bois Juquaud. This traditional habitation from the last century will give you a lot of information about the Vendée life in the 19th and 20th centuries. It still has furniture from the epoch and is now an eco-museum. The beach at Saint Hilaire de Riez is probably the one you will frequent the most during your stay at the campsite as you are just a few minutes from its fine sand and impressive size. 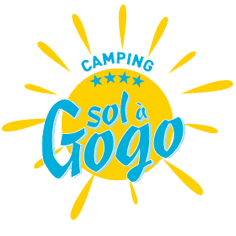 When leaving your camping pitch or your mobile home rental, equip yourself with your swimsuit, your towel and your suntan lotion, then set yourself up in the Vendée sunshine to enjoy a session of relaxation, bathing or even practicing an aquatic sport such as surfing, windsurfing or catamaran sailing.